UPDATE: Some of the photos have been removed at the request of LEGO. Pegged for a theatrical release on December 15th, and following the blistering success of the Rogue One spinoff, Star Wars: The Last Jedi will beckon moviegoers back to the core Skywalker franchise and, by effect, pick up where The Force Awakens left off in 2015. That signals the return of Rey (Daisy Ridley), Finn (John Boyega), Poe Dameron (Oscar Isaac) and, perhaps most exciting of all, Luke Skywalker (Mark Hamill), who slipped off the radar soon after the events of Return of the Jedi only to be found aboard the rocky outcrop known as Ahch-To. Skywalker will no doubt have a major role to play in Star Wars: The Last Jedi, but today’s rumored tidbit (via Reddit) is more concerned with Rose (Kelly Marie Tran) and a First Order stormtrooper pilot, which is reportedly set to be the one piloting those hulking ‘Gorilla Walkers’ – souped up versions of the famous AT-AT walkers, essentially. 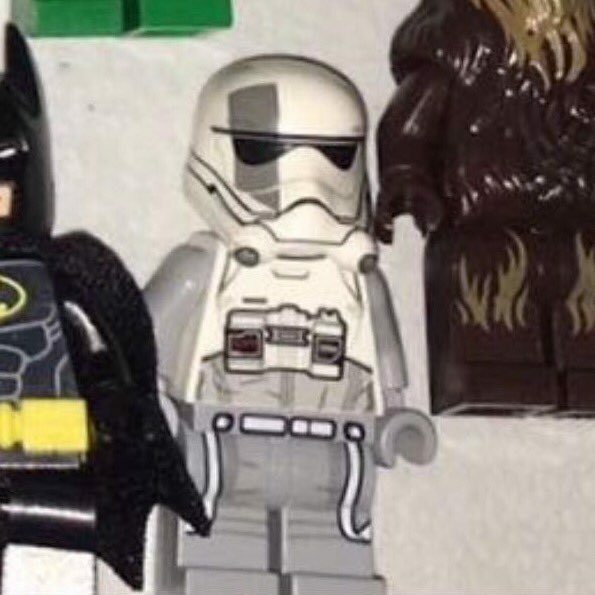 It’s the second batch of LEGO figurines to appear this week, but it’s worth stressing that these designs are subject to change before the film’s release in December. On December 15th, Rian Johnson will lift the lid on Star Wars: The Last Jedi. It’s the third marquee blockbuster to come out of Disney and Lucasfilm since that aforementioned acquisition, though it seems the fourth (read: Han Solo) isn’t having much luck by comparison. Despite the Anthology film being in active production, we learned just last night that the Mouse House has parted ways with Phil Lord and Chris Miller over creative differences, and is now in the process of selecting a replacement. That search is ongoing for now, but if you’re wanting to catch a look at Kelly Marie Tran’s Rose as she’ll appear in The Last Jedi, the gallery below ought to do the trick.